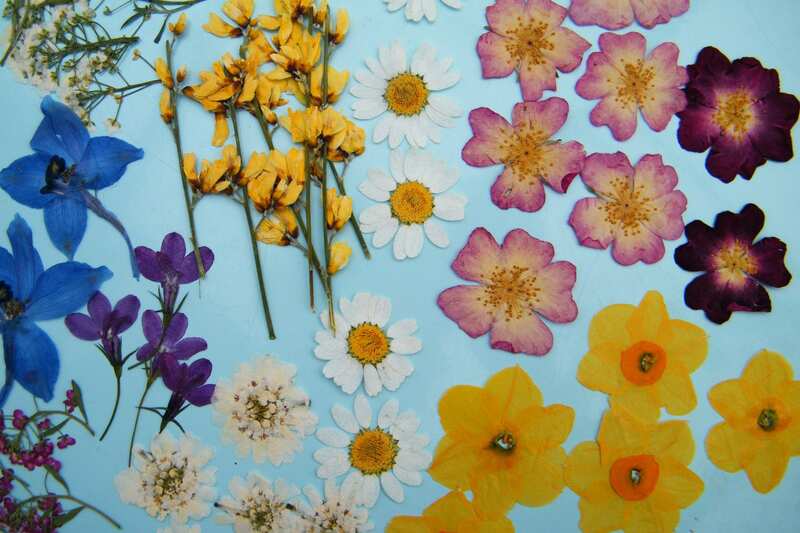 I wanted to find some pressed flowers so that I could a) see what quality I’m aiming at when I make my own, and b) source a bulk producer I can use for my shop. As you can see, I found some lovely flowers. I am very pleased with my envelope-full of inspiration! The roses even had a subtle perfume still! I was very impressed with the daffodils, as I can imagine the trumpets are hard to deal with. And of course I’m always a sucker for daisies. Also shown in the photo are delphinium florets, alyssum, broom and lobelia, and I also received herbs, grasses, hydrangeas and a whole lot more pressed flowers. I’m not revealing my source as I might be using them as a supplier in a month or two! I will have to plan some pressed flower art and make use of all this bounty. Shopping link – Buy flower presses – make your own pressed dried flowers.